1-circuit panel to assemble the standard panel sockets yourself. 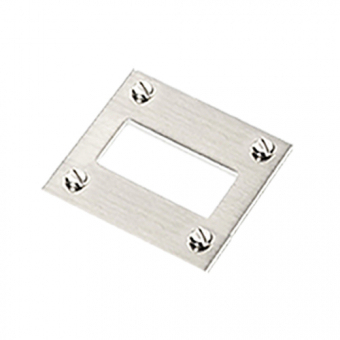 Supplied with screws and nuts for mounting in switchboards, control panels, etc. B+B offers various cutout panels for both miniature and standard connectors, to suit your requirements. You can either assemble them yourself or purchase the complete assembled version. Simply state the type required.